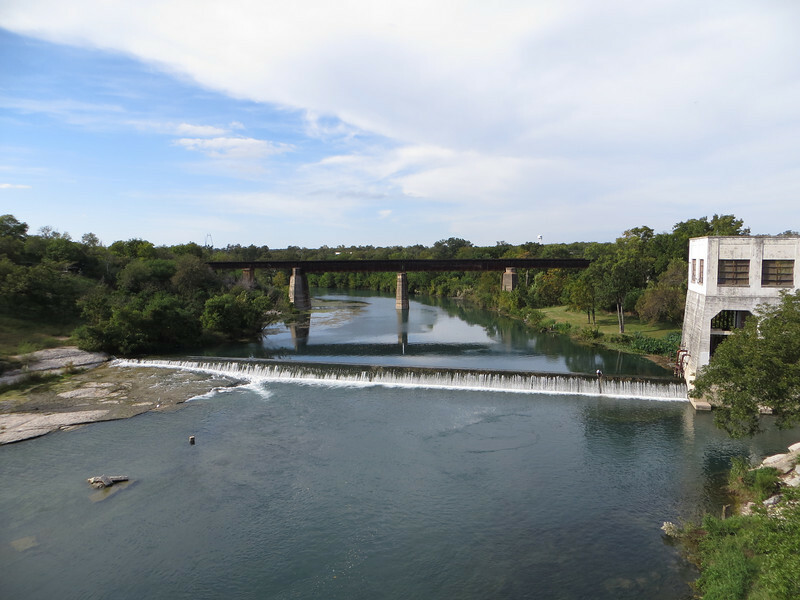 This category 7 project rehabilitated the historic Faust Street Bridge in New Braunfels, TX. The bridge was originally built by the King Bridge Company of Cleveland, Ohio in 1887 to span the Guadalupe River. The construction of the bridge was funded by Comal County with an initial price tag of $33,269. It is the only multiple-span Whipple Truss Bridge in the state of Texas that resides at its original site. In 1978, as a result of a fire, the bridge was closed to traffic. Thanks to $360,000 in Transportation Enhancements funding and a local match of $72,000 in 1994 the bridge is still here today. The category 7 project rehabilitated the bridge so that it could be used to carry pedestrians and bicyclists across the Guadalupe River. The rehabilitation was carried out by the Sparks Engineering, Inc. who also worked on the nearby Hays Street Bridge in San Antonio. Visit the Historic Bridge Foundation for more information on the bridge.